"Samuel Beckett once wrote that were he in the unfortunate position of a critic studying his work, one of his points of departure would be the ideas of the seventeenth-century philosopher, Arnold Geulincx. 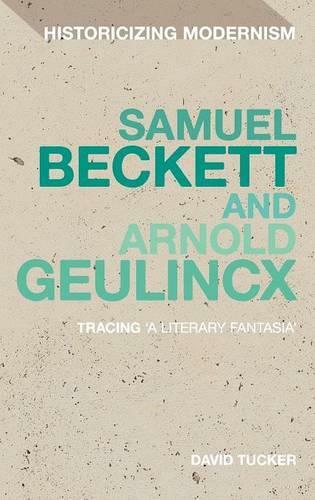 Samuel Beckett and Arnold Geulincx: Tracing a literary fantasia is the first full-length study to document the extent of the influence Geulincxs philosophy had on Becketts prose and late drama. Establishing itself as a reference point for Becketts published and unpublished writings, David Tuckers study presents a clear, chronological exploration of Becketts engagement with Geulincx, and of how this engagement marks, and is marked by, broader changes in Becketts aesthetic thinking. By positioning close, interpretative philosophical readings alongside analyses of archival materials, Tucker sets out an affirmative and reconciliatory approach to divergent strands in contemporary Beckett Studies."